Ellie is married, has one son, two stepdaughters and is also blessed with 4 precious grandchildren. Ellie was born and raised in Ontario, Canada into a family of 8 girls and 3 boys, all of whom are best friends. She first moved to Grand Rapids, Michigan from Toronto in 1979 when her husband David accepted the position as President of a large international trucking firm. Ellie has been a member of the Grand Rapids Association of Realtors and the National Association of Realtors since 1993 and has concentrated most of her efforts in working with transferees. As a “trailing spouse”, Ellie genuinely understands the needs of the transferee and is passionate with the challenges that arise when relocating families. Ellie worked as a Corporate Relocation Specialist at a large Michigan Real Estate Company and was instrumental in achieving an annual sales volume growth from six million to twenty-nine million over a five year period. Ellie then started the Corporate Relocation business in another Michigan Real Estate Company and achieved an annual increase in Corporate Relocation Sales volume from zero to approximately twenty four million. 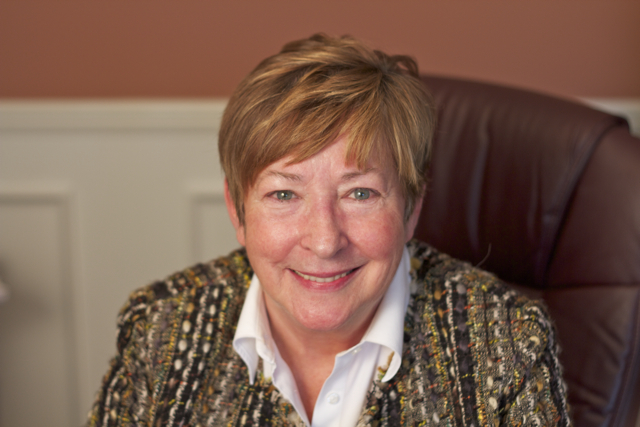 Ellie has been an active Board Member of the West Michigan Relocation Council. Three years ago, Ellie opened her own relocation management company, Austin Relocation Resources. Due to the success of Austin Relocation Resources, Ellie has since had the pleasure of adding her son, Jon and her daughter-in-law Donielle, to the Austin relocation team. Ellie enjoyed the rewarding experience of mentoring a 16 year old girl and her two babies from the Homeless Youth Services program (a division of Arbor Circle) and is now a current Board Member of Arbor Circle. Ellie is a member of Cascade Hills Country Club (CHCC) and was instrumental in starting the CHCC “Children’s Christmas gift program”. At the annual Christmas party at CHCC, the members and their children donate gifts to give to the children of Homeless Youth Services.